The knee is a modified hinge joint between the femur (thighbone) and the tibia (shin bone). The knee allows you to bend and straighten your leg. It also allows slight rotation of the lower leg when the knee is bent. Your hamstring muscles bend the knee, while your quadriceps muscles straighten the knee. Strong ligaments join your femur to your lower leg bones (tibia and fibula) and limit side-to-side movement, overextension, and overbending of the knee. 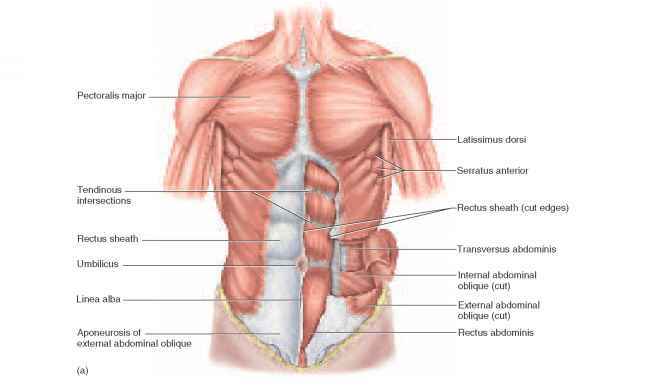 The ligaments also limit sliding movement between the bones. Your knee also has two menisci (crescent-shaped disks of cartilage) to reduce friction and distribute the weight-bearing load evenly during walking or running. The knee joint is vulnerable to injury from the front or either side, as well as from overextension. Injury can affect the menisci or any of the ligaments, bursae, cartilage, bones, or tendons that form the knee. The knee is prone to a number of disorders and injuries because of its special design and because it bears weight and provides movement. may be swollen and warm. There may be stiffness, and movement may be limited. You may hear or feel a "pop," and your knee may give out when the ligament tears. 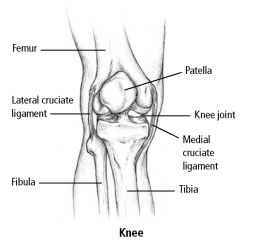 Injury to a ligament on the side of the joint causes pain in that side of the knee. Injury to a ligament within the joint causes pain deep inside the knee. Ligament injuries are first treated with RICE (see page 65). You also must use some form of support (such as crutches or a cane) to avoid putting weight on the injured knee joint. In some cases a splint or a brace is needed for long-term immobilization of the joint. Nonsteroidal anti-inflammatory drugs such as aspirin or ibuprofen will help relieve pain and reduce inflammation. Arthroscopy (see box) often is needed to repair the ligament. Your knee joint may be unstable after this injury and may be more susceptible to recurring ligament or cartilage tears. Your doctor may recommend working with a physical therapist or an athletic trainer on exercises that will stabilize the ligaments and tendons and strengthen the leg muscles.